Bank Account for your Bitcoin or Crypto Business? MSB Friendly Bank for Crypto? Are you in the market for an MSB friendly bank for your bitcoin or crypto related project? Well, it turns out, it is not so easy. Most banks today are not willing to bank cryptocurrency or bitcoin-related projects. All it fear, uncertainty or doubt, but they just are not. DO I have banks that can work with crypto-related projects. Yes, of course,e it would be meaningless to put all these posts out otherwise. The issue is, everyone who wants an account thinks their compliance program is the best on Earth. I waste too much time in assessing the compliance program to find out it is crap and can’t do business with them. 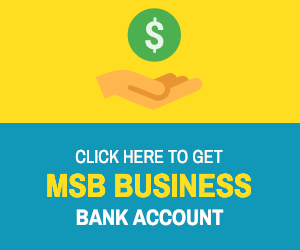 In the coming weeks, I will be updating the form on my website to enable MSB Friendly Banks application. However, at present, I am only going to be entertaining requests from people I know or from references only.